Five additional studio art courses at the 200 level or above. ART 150 is the pre-requisite for all upper-level art history courses. We organize our curriculum into 200-level courses on relatively broad areas and 300-level courses on more discrete subjects, and we design classes to facilitate students’ development of increasingly focused content and honed skills. While assignments differ in each course, 200-level classes involve image-based exams, group presentations/discussions, critical readings, and research papers. Because exams encourage committing to memory details of works of art and information about their historical relevance, students gain a general knowledge of particular works and their socio-historical contexts. In this way, they start to acquire a visual inventory of important images and also understand how artistic movements and styles develop in relation and response to one another. 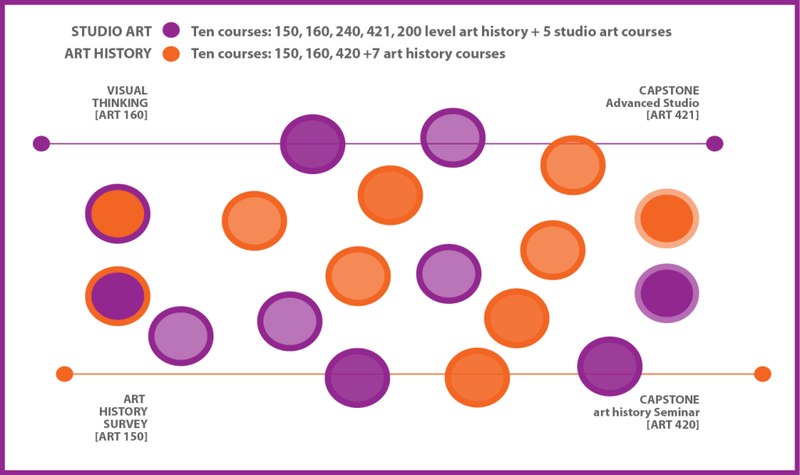 Visual analysis projects hone skills introduced in the art history survey. 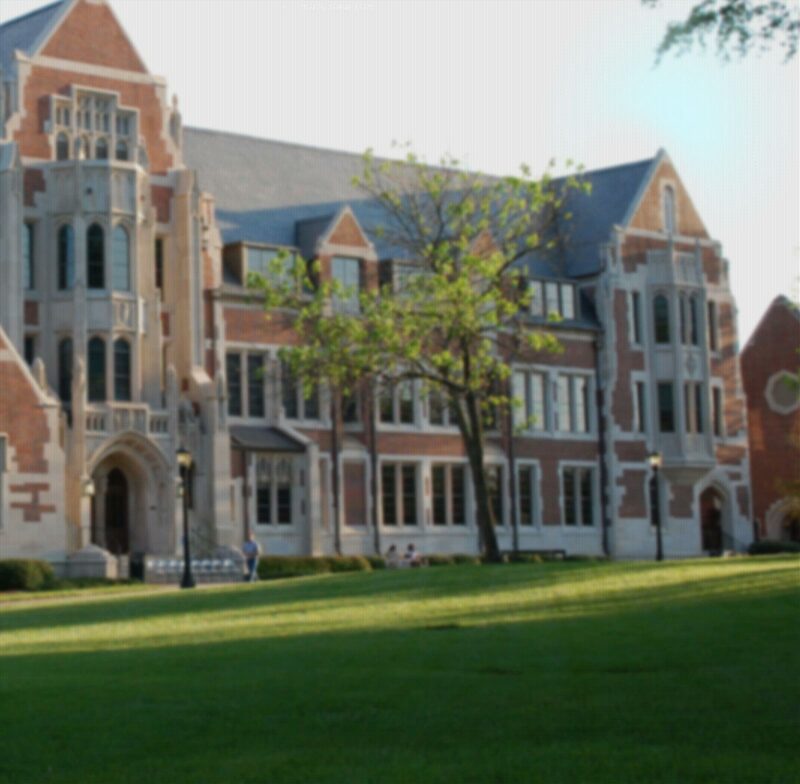 Critical reading and research papers are fairly prescriptive; they guide students through the process of selecting a topic, describing and analyzing a work’s composition and context, and also finding, integrating, and critiquing relevant literature. 300-level classes are a seminar format, where students take increasing initiative in and responsibility for the direction of the course, as the balance shifts from image-based exams and critical reading projects to synthetic writing assignments and self-directed research papers, from group presentations to individual-led discussions. In these classes, students read challenging texts and engage course material in ways that demonstrate breadth in their own creative juxtapositions and/or deepen their focus on a particular subject and body of literature. ART 260: The ideal timing of this course in the spring of sophomore year, just as students are declaring majors. This class introduces students considering the majors in our department to methods and materials, including a variety of approaches to art history and techniques in studio practices. We take numerous field trips to institutions around Atlanta to meet with professionals in the field and gain first-hand experiences with disparate positions and opportunities. This course invites and encourages students to consider future directions, both for undergraduate coursework and post-graduate pursuits. ART 420: Senior Seminar in Art History is offered every fall semester. Following this seminar, a student may decide to enroll in ART 410 or ART 490 to continue her research project.